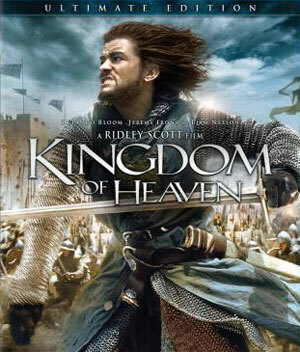 Twentieth Century Fox Home Entertainment has released details about the upcoming release of Ridley Scott’s historical action drama Kingdom of Heaven, bringing the film to Blu-Ray Disc in all of its three incarnations to celebrate its 10th Anniversary! Orlando Bloom stars as Balian, a young blacksmith who has lost his family and his faith. 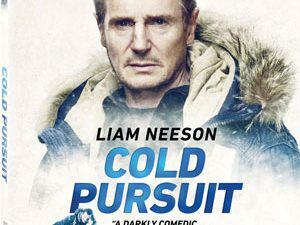 But when his father (Liam Neeson) reveals his destiny, Balian joins the heroic fight to protect his people from overwhelming forces, and rises to knighthood. The release will arrive as a 2-disc Blu-Ray set that features the Director’s Cut, Director’s Cut Roadshow Version and Original Theatrical Version—all presented in 1080p high definition with 5.1 audio. The release will also include over 9 hours of bonus materials, including an Introduction by director Ridley Scott. Also accompanying the film itself as the Pilgrim’s Guide Trivia Track, as well as the The Engineer’s Guide Trivia Track. The Roadshow Cut of the film will also include a Roadshow Commentary with Orlando Bloom, Ridley Scott and Writer William Monahan. Poster Explorations and the A&E Movie Real. ”History vs. Hollywood” is a Featurette looking at the historic background of the film, while ”Orlando Bloom ‘The Adventure of a Lifetime’” takes a look at how the actor prepared for the part in the film and what impact it had on him.